[T]he two most obvious reasons people are attracted to Yarmouth are its lovely village district and its excellent schools. Yarmouth is the only residential suburb of Portland with a distinct and intact downtown village. And the high-performing school system not only provides superb college preparation for Yarmouth students, but also creates property value for homeowners. Yarmouth schools are among the state’s best. The Maine Department of Education gives straight As to Yarmouth Elementary School, Harrison Middle School, and Yarmouth High School. GreatSchools, which gathers information on the country’s public, charter, and private schools and whose online ratings are used by many prospective homebuyers, gives Yarmouth High its top grade of 10. And both U.S. News & World Report and Newsweek have rated Yarmouth High the second best high school in the state behind the Maine School of Science & Mathematics. Beyond cosmetic and academic distinctions, people who move to Yarmouth discover neighbors generous with their time, talent, and treasure. Yarmouth’s motto is “Our Latchstring Always Out,” meaning that people are always welcome and locals are willing to help. And Yarmouthites put their money where their motto is. Yarmouth citizens have invested tens of millions in their educational and cultural facilities in recent years — $20 million to renovate and build new schools, $2.5 million to renovate the Merrill Memorial Library, and $1.25 million to build the Yarmouth History Center. Hundreds of residents volunteer at the annual Yarmouth Clam Festival, which raises funds for all the booster groups, churches, and civic groups in town. And though Yarmouth is an affluent community by Maine standards, not everyone is wealthy. So the town funds a fuel assistance program, and some 70 families a month benefit from contributions to the Yarmouth Community Garden and local food pantry. Next up: Camden: On vacation everyday. Previous: South Bristol: Saltwater pastoral. 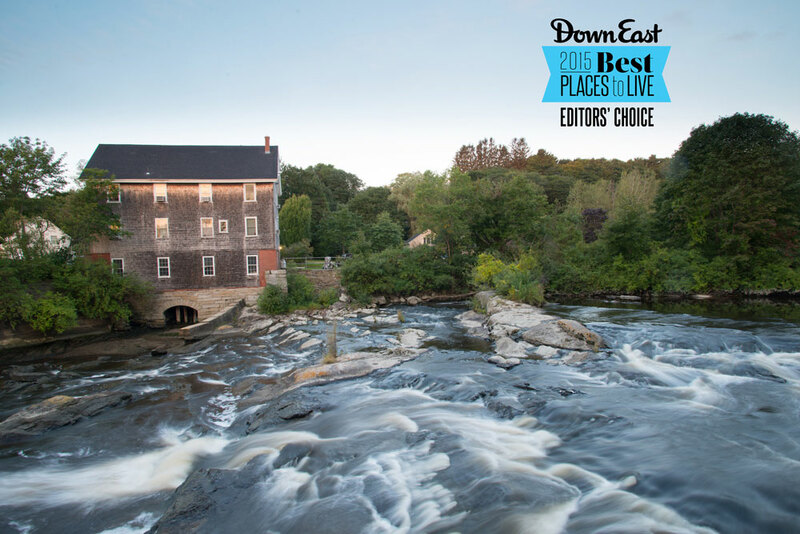 For gorgeous full-page photos and more, pick up a copy of our collectible 2015 Best Places issue (or read the full issue on your on your tablet)!